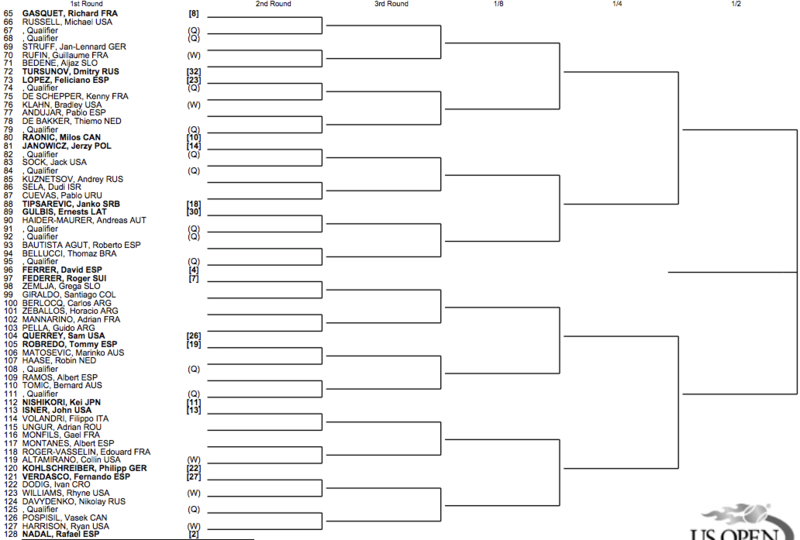 The 2013 US Open draw ceremony has just completed and both draws and pathways to the title are set. Roger Federer is seeded #7, his lowest seeding at a grand slam since Wimbledon in 2003, when he was seed #5. The Swiss maestro will face a difficult path in the later stages if he is to win his record extending 18th grand slam. Drawn into the same quarter as Rafael Nadal, the 5-time US Open champion will begin his 2013 campaign against Grega Zemlja in the first round. 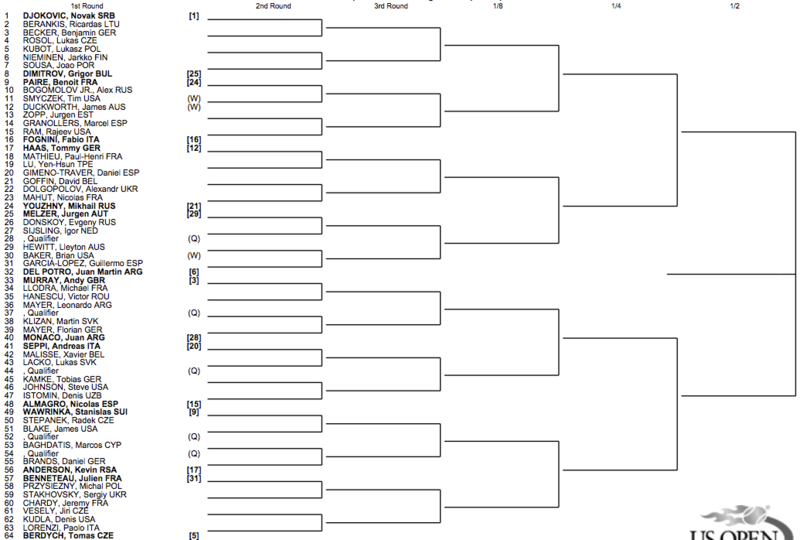 Projected quarterfinal match-ups by seeding are: Novak Djokovic vs Juan Martin Del Potro, Andy Murray vs Tomas Berdych, David Ferrer vs Richard Gasquet, Roger Federer vs Rafael Nadal. View the full draw below or download the printable draw here. Watch full coverage of the 2013 US Open on FF07tv, starting Monday, August 26. See Roger Federer’s Nike outfit for day and night sessions here. Lucerne Festival – Roger Federer: Racket vs. Violin?